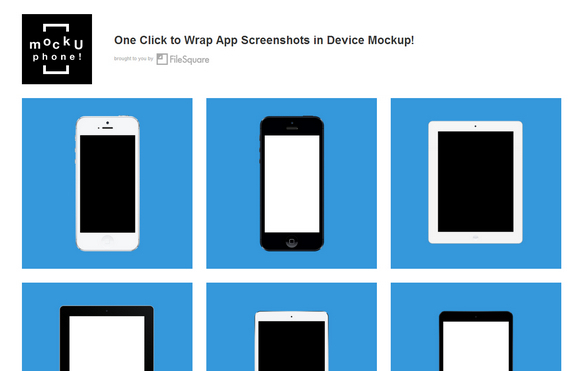 MockUPhone helps you to wrap your app screenshots in multi-color/angle device mockups, and provide better visual context for your app screenshots on your website or in other promotional materials. You can see some of the most popular mobile device available like iPhone 5, iPad, Nexus 4, Galaxy S4. New devices are coming constantly as well. All resources displayed / used by the website were created by its original author under a royalty free license in both personal and commercial use.